Cappuccino Finish Shoe Cabinet. 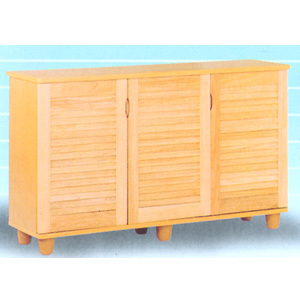 Two sizes available: Two Louvered Doors or Three Louvered Doors. Their are 3 shelf plus the base. The shelfs go all the way across. Easy to assemble. Strong Construction. Available only in Cappuccino Color.